Cable Management - Made Easy! stressful. It wastes time, causes arguments over ownership and getting it wrong can be a costly mistake. 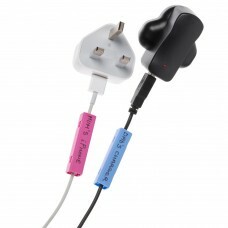 Cablebug™ is a simple one-click solution for quickly and neatly labeling all your chargers, cables and leads. Use pre-printed stickers when there is a lot of labelling to do/ you want a professional finish. Simply colour-code your cables using the wide range of coloured Cablebug™. labels. Attach the Cablebug™ to the cable. Snap shut. Job done! Can I write on a Cablebug™ with any kind of pen? Yes but a CD marker pen works the best. Do I need anything other than a Cablebug? Yes. Just a CD marker pen or a sticker unless using in a colour coding format. No. You don’t need any equipment, just a CD marker pen. If you want to print stickers off, you can use the Cablebug sticker template plus our custom-designed stickers and a conventional printer. What if I put the wrong label on the cable? 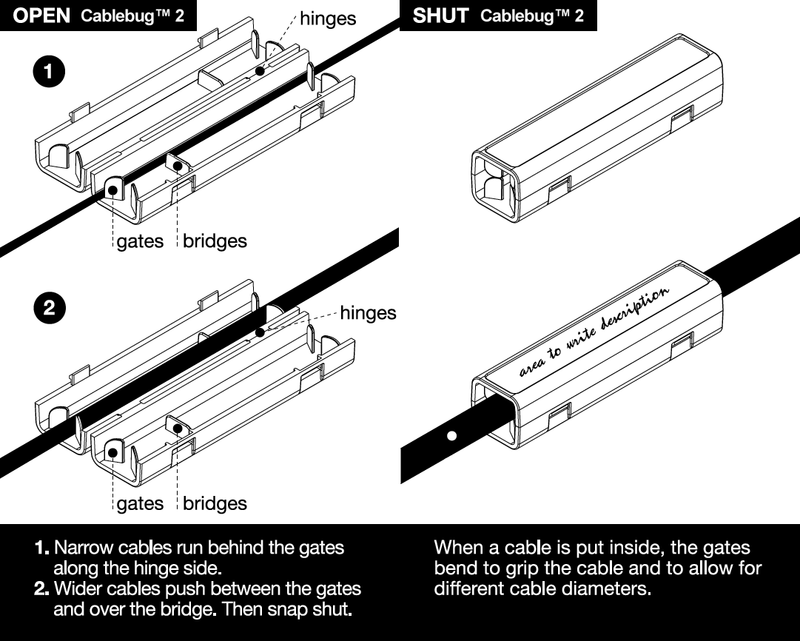 Cablebug™ labels can be removed. Once you have clicked them shut you can open them again by squeezing the clasp.